One only has to look as far as the white-tailed deer in Ohio to see these pressures at work. Data collected by the Ohio Division of Wildlife from 1997-1999 (published in 2004) indicate that greater than 90% of mature does will give birth to an average of about 1.86 fawns in May and June. (Tonkovich et al, 2004) Somewhere between 6% and 10% of mature does will have three or more fawns. Between 30% and 60% of those female fawns (depending on the region of Ohio) will conceive in the following fall when their live weight is about 85 pounds. They will give birth to about 1.21 fawns when they are themselves only one year old. These recent figures are actually somewhat lower than previous research conducted in 1981-82 and may reflect declining habitat quality (read nutrition) in some parts of the state where deer numbers have increased substantially since the early 1980s. Each fall we harvest over 30% of these animals during the hunting seasons (over 230,000 in 2007/2008), and car accidents account for many more. Except for the agricultural crops they use, deer provide Ohioans with considerable red meat production with no help from us, largely as a result of our relatively fertile soils and favorable climate. The starvation/hypothermia complex is the leading cause of death in the Great Lakes region. This is a largely a function of the time of year when lambs are born. However, vigorous lambs that receive adequate colostrum and milk (5-10% of body weight) in the first few hours after birth can withstand a significant amount of cold. Some literature from other parts of the world refers to this problem as SME – starvation, mismothering, and exposure. This terminology emphasizes the ewe’s contribution to the problem. Research, and practical experience, indicates that selection for ewes with sound udders, desirable teat placement, and strong mothering instincts can significantly reduce the impact of this problem. 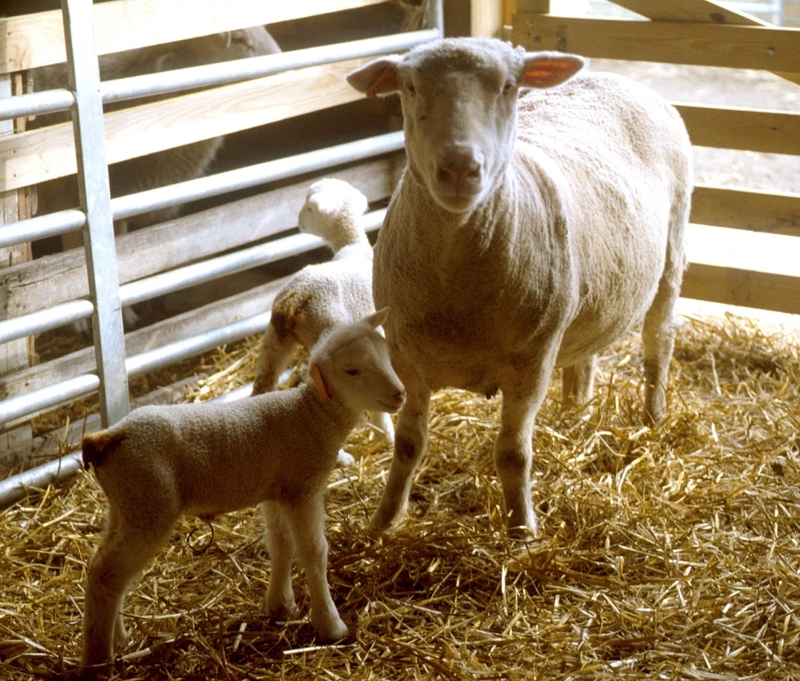 Likewise, large birth weights and dystocia, also conditions we can select against, contribute to less vigorous lambs that don’t find the ewe’s udder without assistance. Because lambs have small body weight in relation to their surface area, hypothermia will always be a potential cause of loss, even in lambs born in mild or warm weather. However, we can reduce its impact in our flocks by altering our selection and management practices. Posted by Braden Campbell at 9:40am August 17, 2017 Posted in Health, Management and tagged Health, Management, Nutrition. Bookmark the permalink.